to celebrate spring, the folks at food network have transitioned from our weekly comfort food feast recipe roundup to a spring themed event called "sensational sides mixed with spring produce". the objective is to write about spring produce but to give us a bit of flexibility to account for regional differences in the growing season. i have never been more aware of these differences then this year when i moved to taos, new mexico. how spoiled i was living my entire life in california. there, by now, many of my favorite spring vegetables are popping up in markets. roadside stands are beginning to open.. i was in southern california last week and the seal beach strawberry patch is selling beautiful, sweet, delicious local berries. in taos, the snow has just melted and everywhere you look it is brown...dirt, grass, trees...nothing is greening up yet. so, shopping locally is much, much more of a challenge. happily, there is a year round farmer's market called red willow farm which is a cooperative of growers from the pueblo. they use a system of heating greenhouses to grow their produce throughout the winter. 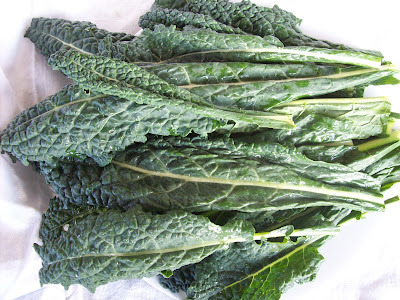 this means i can get local, organic greens even when the temperatures are below zero. it is a challenge to buy/eat locally in the winter...but, happily, not impossible. read more about red willow growers here. place all vinaigrette ingredients in a mason jar. cover tightly and shake until well blended. 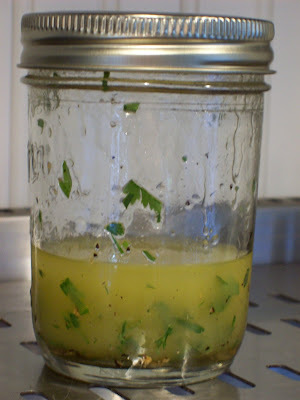 store remaining vinaigrette in refrigerator. 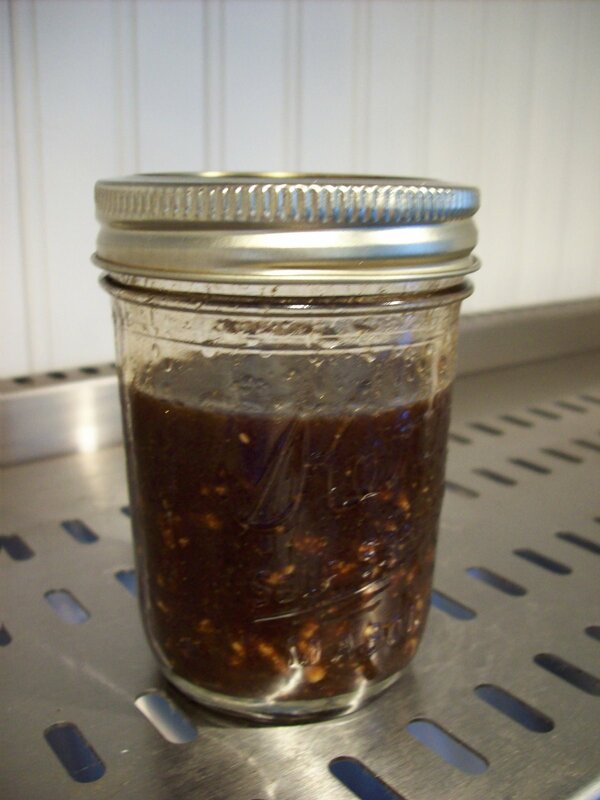 bring to room temperature before using to allow oil to mix with other ingredients. try these on your favorite salads. use whatever greens you have on hand. i like to mix salad greens with spinach, baby kale, chopped chard or other "dark" greens for added nutrients and flavor. dress lightly..toss..season..enjoy! and eat more salad. do you already make your own salad dressings? 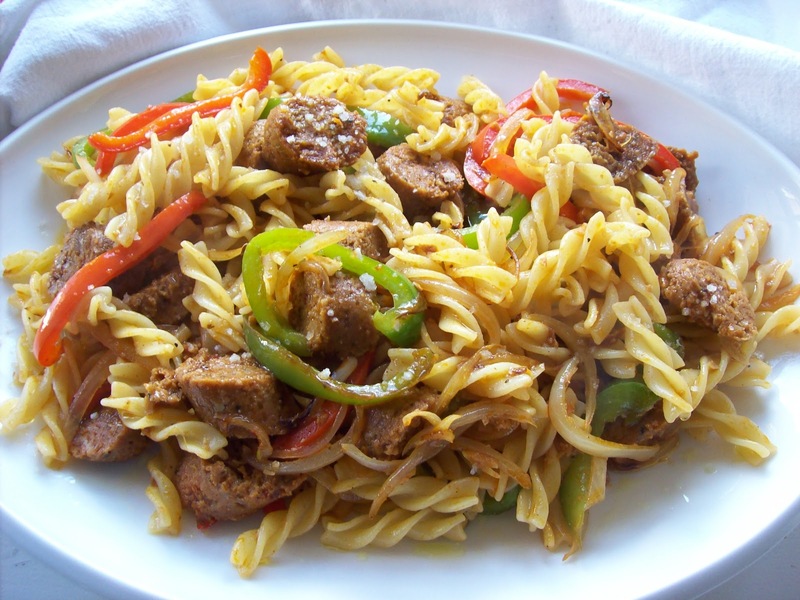 if so, please share your recipes in the comments section of this post..
when i was growing up italian sausage and peppers were a favorite treat. frequently, when my sisters and i spent the weekend at my grandparent's home, my grandmother would take us to an italian deli called claros after church on sundays. we usually ordered hot italian sausage and peppers sandwiches for lunch...and i have an aunt (last name donatelli) who makes grilled sausage, onions and peppers as an appetizer for most family parties. i thought creating a pasta dish out of these ingredients would be a delicious idea. 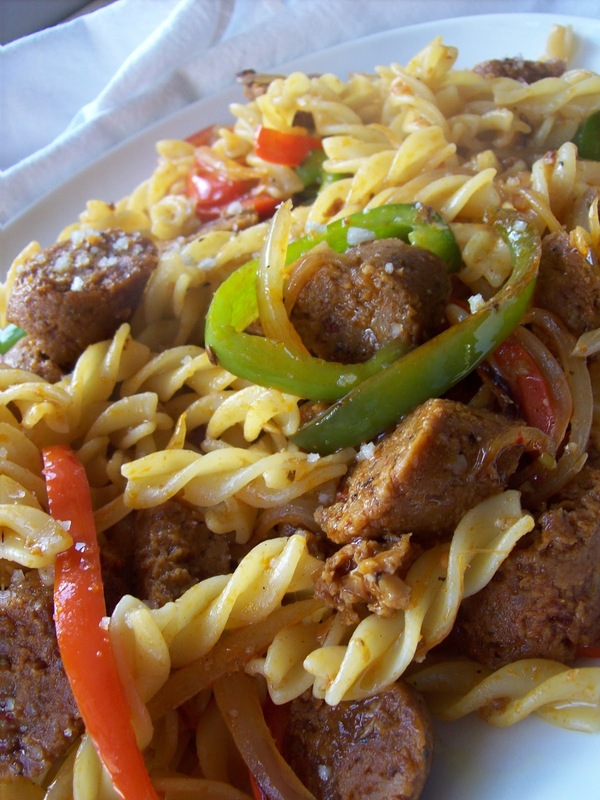 when i learned it is "comforting pasta" week at food network's comfort food feast i decided this would be the perfect recipe to share as it serves up family memories along with the pasta. what is more comforting than that? gran...aunt linda...beloved family...this is for you. meanwhile bring a large pot of water to a boil. generously salt water with the kosher salt (water should taste a bit like sea water) and add the pasta. cook fusilli until al dente (firm to the bite)...start checking after 10 minutes. when pasta is ready, remove from pot with strainer and add to sausage pan. add 1/2 cup pasta water, remaining 2 tbsp olive oil and salt/pepper to taste. stir to combine. 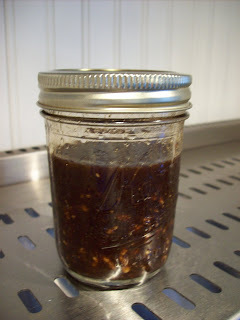 turn off heat, add a splash of balsamic vinegar, stir, taste and correct seasonings if needed. serve immediately with plenty of freshly grated parmigiano reggiano cheese..
do you have a favorite pasta recipe you would like featured? feel free to post or link in the comments section of this post. and please check out my cheddar cheese and roasted garlic version over at my sister blog napa farmhouse 1885.
i love the ooey, gooey dripping cheese! i am often asked why this blog is called red or green? a few people have emailed me and asked why they need to choose. you don't...that is the whole point of the name. i am currently living in taos, new mexico. this means i frequently get to enjoy new mexican cuisine which is based on cooking with chiles. there are two famous options...a red chile sauce and a green chile sauce. (see my recipe for red chile and another for stacked cheese enchiladas covered with the red sauce). both chiles are delicious and when you order in a restaurant you are given the choice...red or green? and then there is my favorite option..."christmas" which means you want both. this is grilled cheese week at food network's comfort food feast and i decided to share my red or green? version. 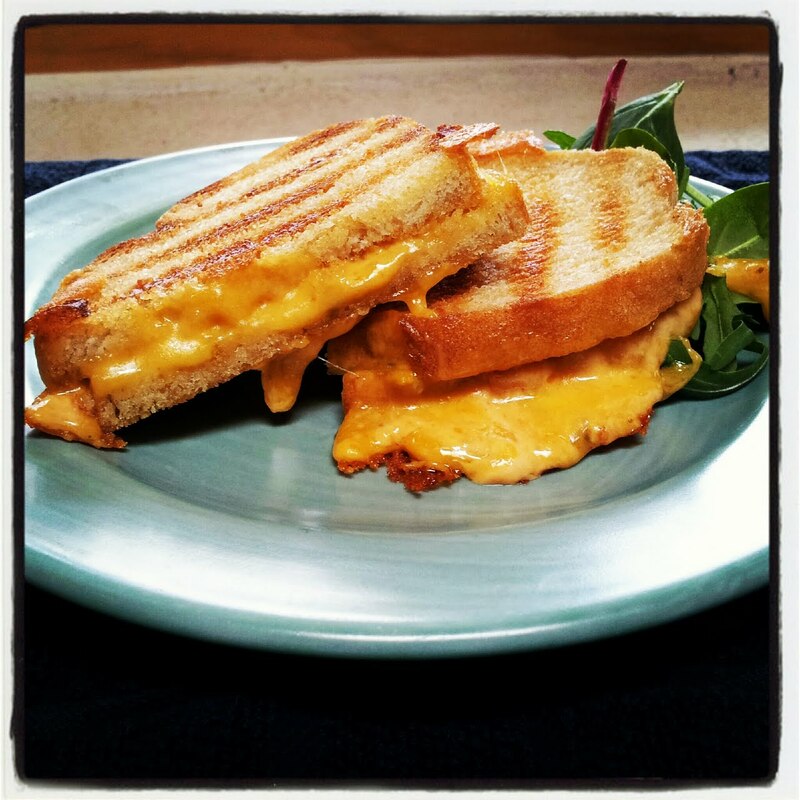 i use sourdough bread (my homage to my beloved bay area of california), sharp cheddar cheese studded with new mexican green chile and a spread made with mayonnaise and smokey chipotle peppers. warm, spicy, crunchy, melting bites of deliciousness. comfort food at its best. 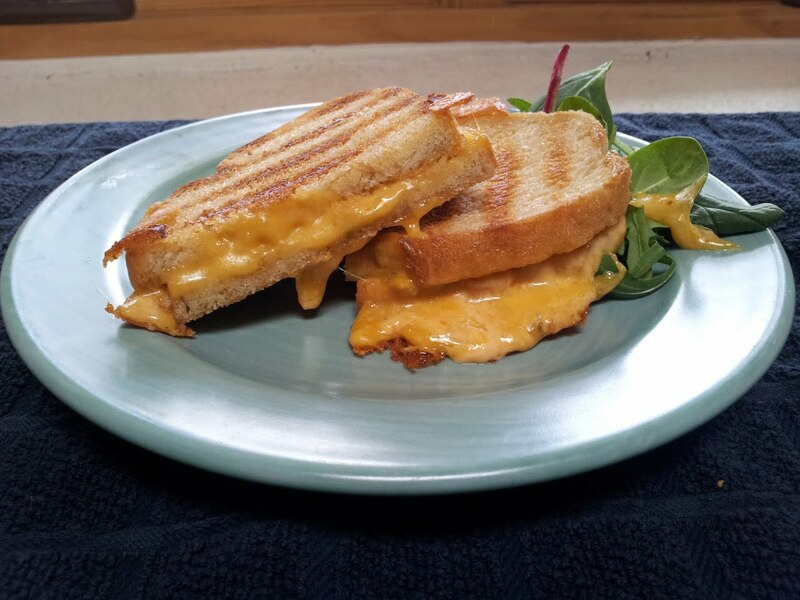 grilled cheese sandwiches are more of a technique than a recipe. you should customize them to your liking. use as much or as little cheese as you like. whatever bread you want. grilled or panini style? i am sharing the way i make mine....share your favorites on facebook or in the comments section of this post and please check out my sharp cheddar and grilled onions version over at my sister blog napa farmhouse 1885.
heat skillet or grill pan(my preference) over medium high heat. in a small bowl, combine mayo and chipotles. set aside. spread 1 side of both slices of bread with butter. spread the mayo mixture on the other side of each slice. place 1 slice of bread butter side down in the skillet. mound the cheese on top of the mayo side. top with the second slice mayo side down. 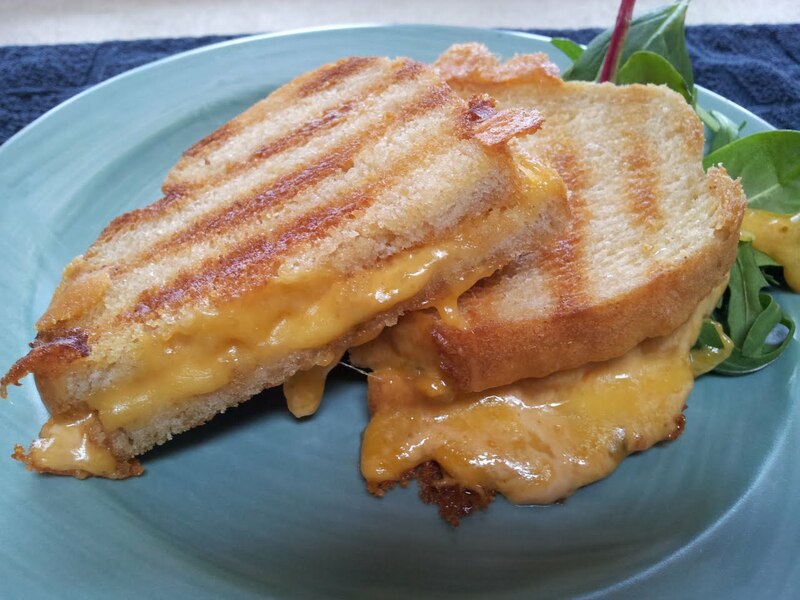 grill for 3.- 4 minutes, or until bread is nicely toasted with deep grill marks (if using grill pan) and cheese is melted. flip sandwich and grill second side until golden brown. remove from heat, slice and serve immediately. *note...i love adding slices of heirloom tomatoes in season to this sandwich. other add-ins....greens, grilled onions, bacon, ham, grilled eggplant or whatever you like.